Hello! 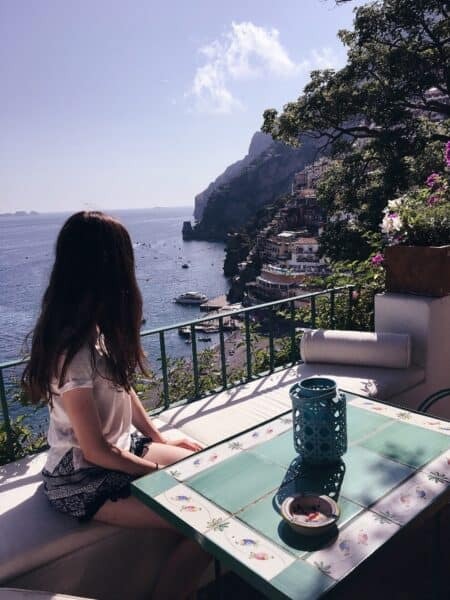 This is Foodie Goes Healthy’s daughter, Olivia, and I have decided to take over the Foodie Goes Healthy Website for a guest blog post about Positano, Italy. I can easily say that Positano is one of the best places I’ve ever been. The views there are breathtaking, and the food is delicious. Everything from the pastel-colored houses to the ceramic plates at the restaurants is beautiful. 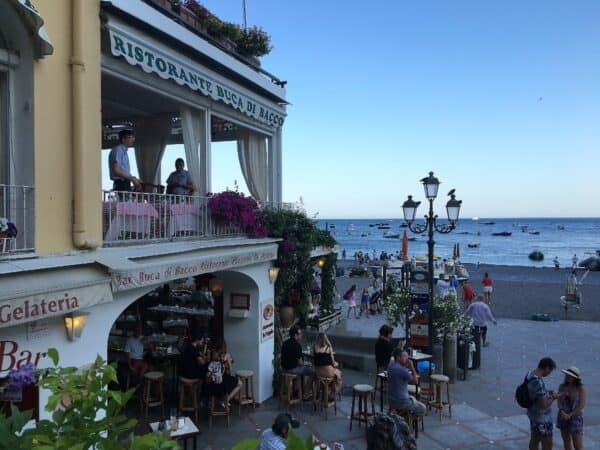 I did so many great things in Positano, so it was hard to narrow down my favorites. 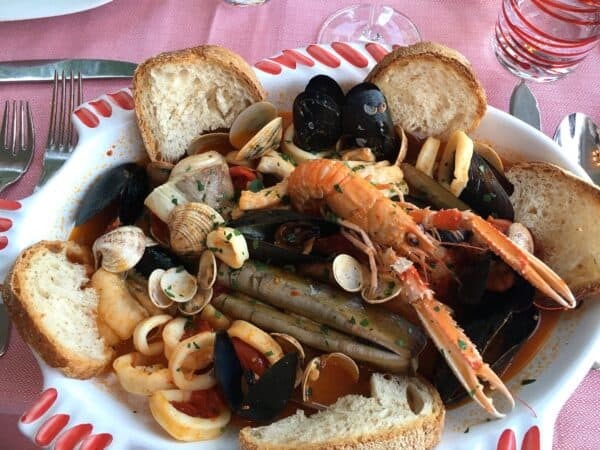 Since Positano is a beach town, they have the best seafood. 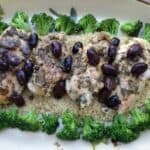 I normally am not a big seafood fan, but I LOVED it there! My favorite seafood meal I had was the squid pasta from Da Adolfo. 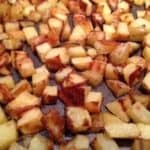 It was light, tasty, and very flavorful. My sister went nuts for the mussels in Positano too. The seafood is abundant, so there is always a large selection at every restaurant. 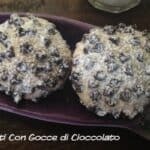 Definitely something you have to try! You really can’t go wrong doing anything in this picture postcard town. 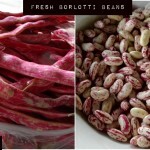 While moseying down the streets, you never know what hidden treasures you might find that are more off the beaten path. 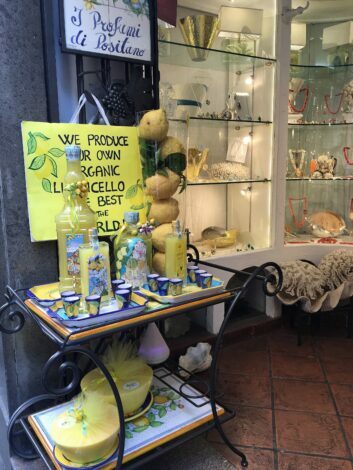 We came across many different places such as an amazing lemon granita stand, handmade ceramic shops, custom made sandal shops, the best gelato, cute winding pathways, kayaks for rent, and so much more. Sometimes something as simple as just exploring the streets can actually be a highlight of your stay. 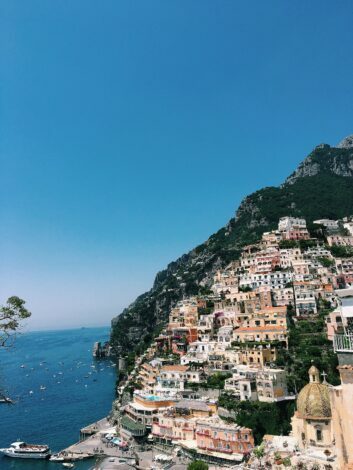 Especially growing up in a large city, it’s not everyday that you can sit back and stare at the one of a kind view like Positano’s. So make sure to allot some time to just kick back and enjoy the sensational view. My family and I had a great view from the apartment where we stayed, so we sometimes liked to just stare in awe from the comfort of our place. But if you don’t have that great of a view from where you are staying, you can always head down to the beach to relax and really just do, well, nothing! The entire time I was there, I could not pull my eyes away from the insane views, and no photo or words can properly portray the beauty that is Positano. 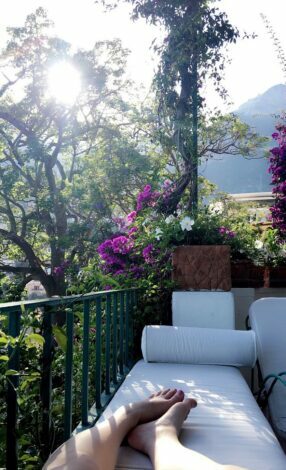 Enjoying “doing nothing” in Positano. Da Adolfo Ristorante in Laurito cove. 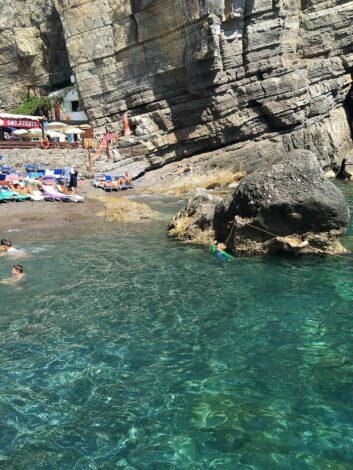 It’s nice to be in Positano, but I think part of the experience is being on the water and exploring. 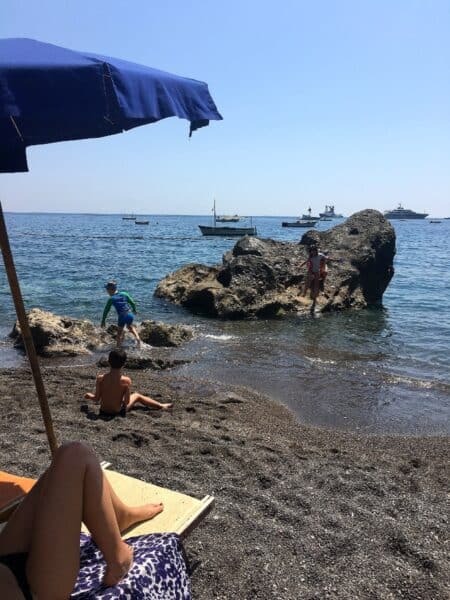 I personally enjoyed getting away from the hoards of people on the main public beach in Positano, and taking a boat to a smaller beach with a beach front restaurant. My family and I went to Da Adolfo Ristorante, and it was spectacular. 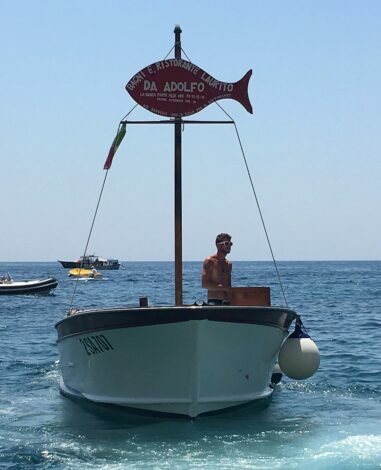 They pick you up on the dock at Spiaggia Grande beach and bring you to their restaurant. Just look for the small boat with the red fish on top. Be sure to make a reservation by telephone or they won’t let you on the boat. Wait at the dock at least 10 minutes before they say that the boat will arrive and be a little aggressive while boarding because the boat only comes once every 30 minutes, and it only holds 6-12 people depending on the boat. We missed the original boat that we planned to take, so we had to sit around for 30 minutes before being taken over. Also, the restaurant’s beach lounge chairs (called “lettini”) fill up, so that’s yet another reason to be prompt about boarding the boat. 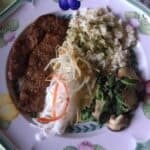 Aside from that, the atmosphere of the restaurant is beachy and very casual, and the food is great. Once finished with your meal, it’s nice to take a dip into the calm waters and mess around at the water’s edge. 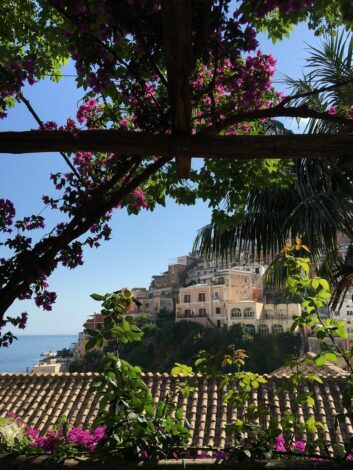 Although Positano is quite magical, I would recommend taking just one day trip to a nearby town. 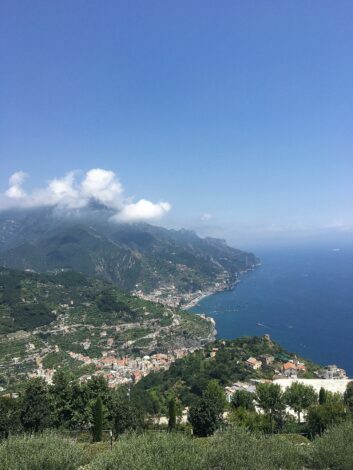 There are many other breathtaking nearby places to visit including Capri, Amalfi, and Ravello, but my family decided to hop over to Ravello to finish off our time on the Amalfi Coast. If you spend more than 4 days in Positano, it’s nice to have a little change of scenery, and it was super fun to explore this little town. 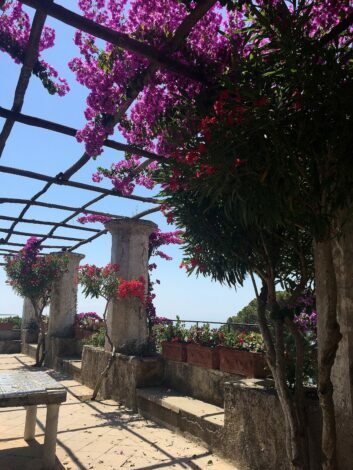 The view from Ravello is spectacular. It sits high on top of a hill and has a beautiful bird’s eye view of the coast. It was also quite fun to visit Villa Rufolo while there. The gardens are very well kept: perfect looking flowers and greenery. It was very calm, quiet, and serene, and very worthwhile visiting. Next we walked around the town and stumbled upon a marching band and cute stores. 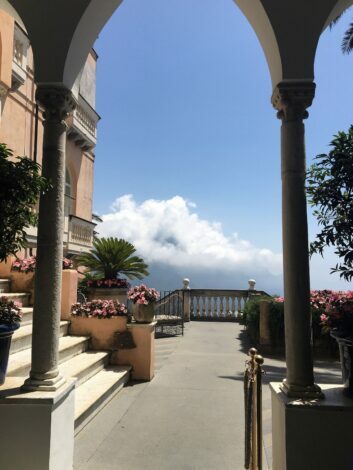 We had lunch at Palazzo Avino: an upscale boutique hotel with fantastic views. We ate on the outside terrace, and it was hard deciding what was better: the views or the food? Side note: make sure to pre-plan your transportation to and from your day trip. We did not and almost missed the bus back to Amalfi to take a boat back to Positano. It resulted in us asking the bus driver a million questions and then frantically running to a local tobacco shop (called “tabacchi”) to purchase bus tickets, Olympian-style sprinting back to the bus, and then shouting to find my dad and sister. Whoops! Meanwhile, our fellow busmates were laughing their heads off the entire time and started clapping when we finally made it onto the bus. 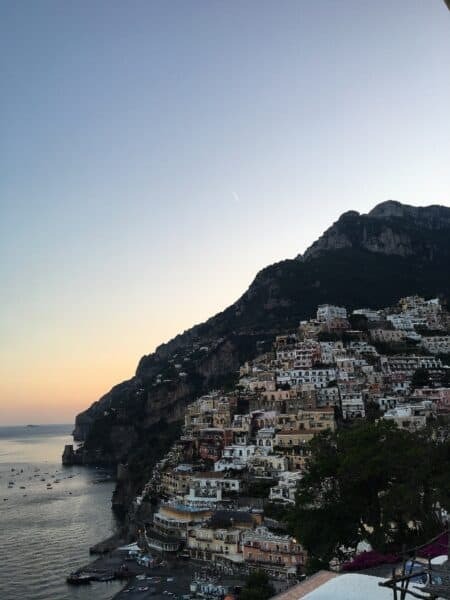 Positano is one of the most worthwhile places to visit, and I hope my post has inspired you to put Positano on your bucket list or has helped you plan a trip there. Bon voyage! What an adorable post from an adorable girl. Thanks Olivia. Great job Olivia! Loved your descriptions and the gorgeous pics! Grazie Mille, Christina. Happy travels. Great post! I’m actually heading that way next month, so I appreciate the tips! Kelly- how great. Enjoy! PM us if you need anymore specific information. Can’t wait to see your photos. 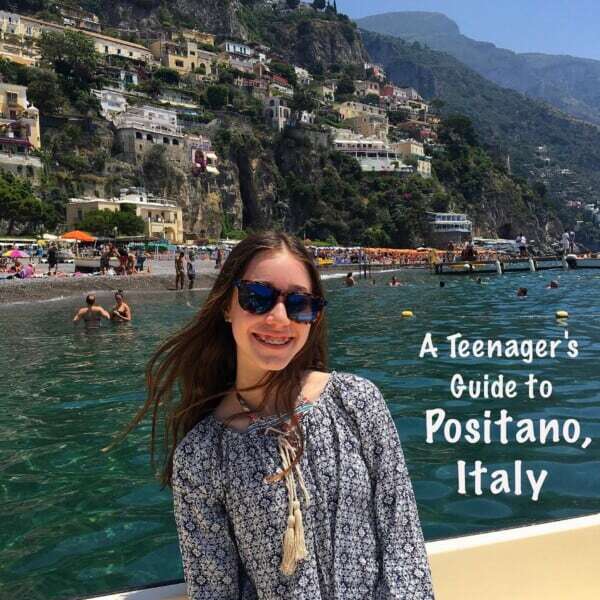 Great job Olivia – we visited 3 years ago – stayed in Sorrento but visited Positano, Ravello and all the wonderful and incredibly beautiful hillside/seaside towns and found it just as magical as you did! Beth, wish I could go right back. Thanks for giving my mom advice about the area. Wonderful post Olivia! Glad you and your family had such a wonderful trip.